When your reward level contains multiple products (SKUs) and you would like to offer the reward level as an Extra during the survey, there are a few simple steps to make the reward level available. Please keep in mind the shipping rates reflecting in the reward level itself will carry over to the product as an extra. If you would like to offer a different shipping cost when adding the reward level as an extra, you'll want to create a Product Bundle with it's own shipping rates. 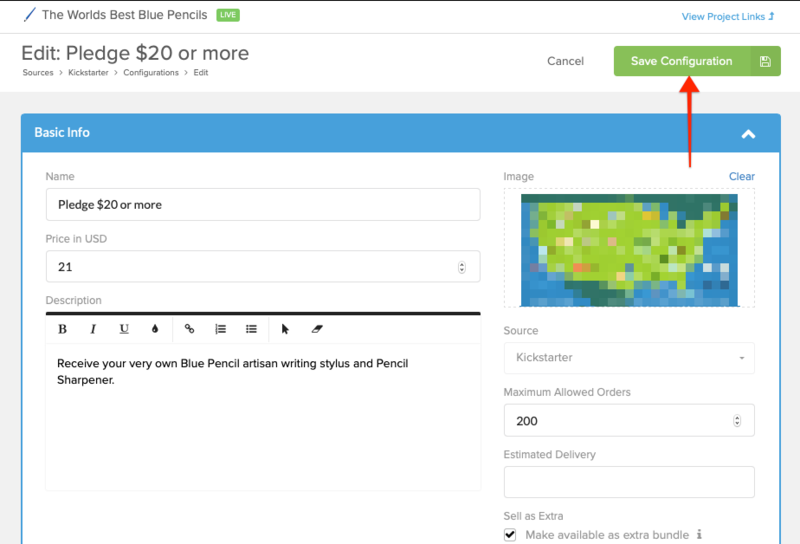 Click here for help with creating Product Bundles. 2) Edit the reward level. 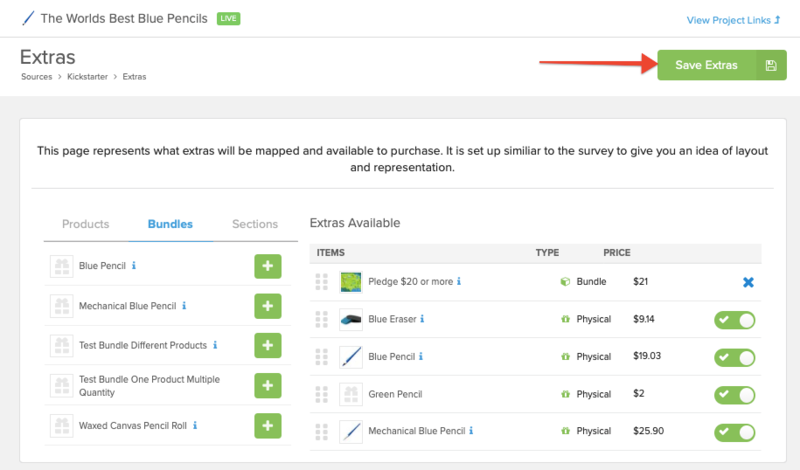 When hovering your mouse over the line of the reward level, a grey pencil and paper icon will appear. Click that icon to edit the reward level. Check the "Make available as extra bundle" box. 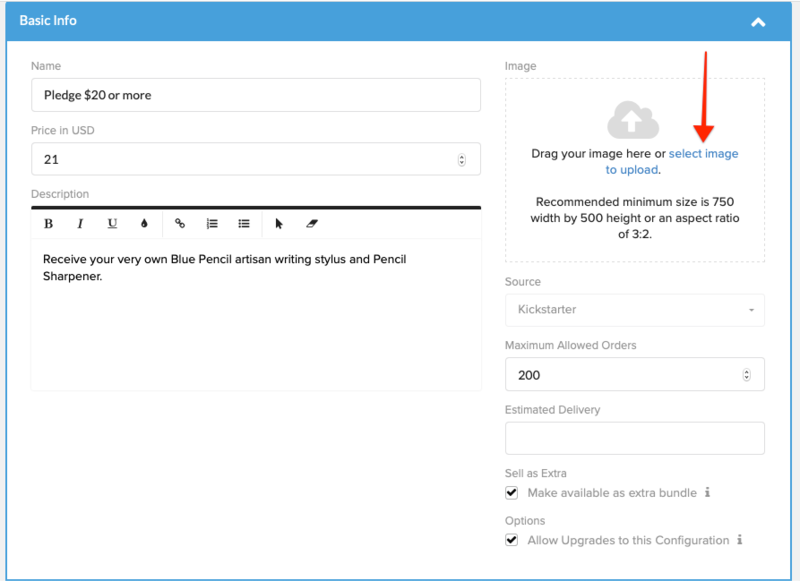 Adding an image to the product is strongly suggested (when available) to help backers identify the product in the Extras. Save your changes by clicking "Save Configuration" in the top right corner. 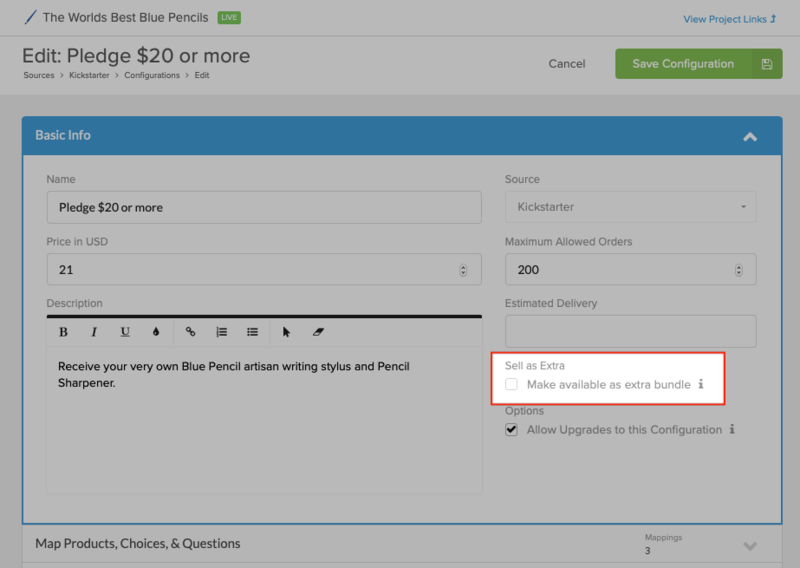 Click on Extras as a submenu to the source (Kickstarter, Indiegogo, or Crowd Ox). Please note, be sure you are back to the main rewards page when clicking Extras. 8) Add the Reward Level. 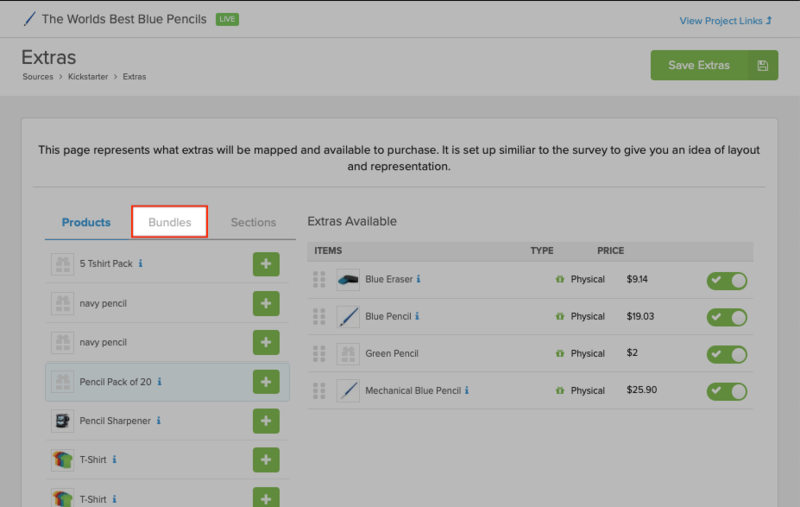 Click the green plus sign next to the reward level to add it to the Extras available. Save your changes by clicking "Save Extras" in the top right corner.